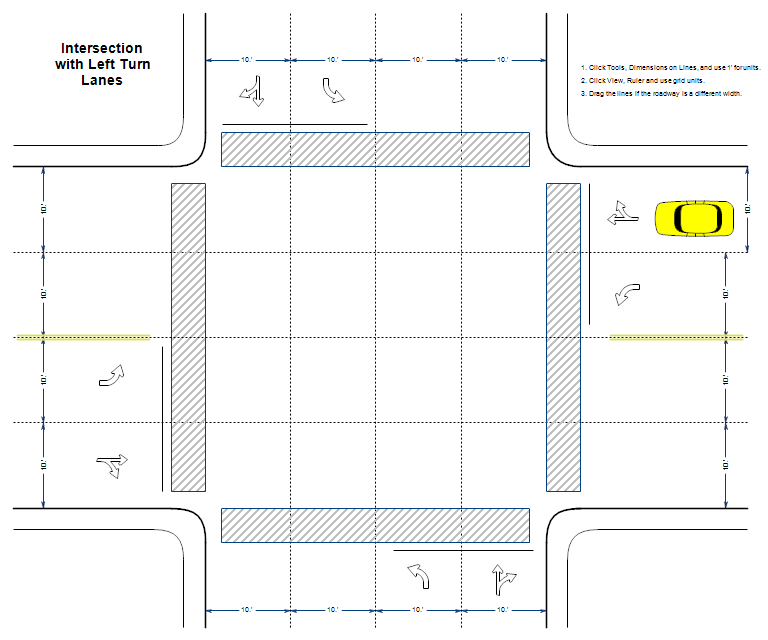 Description This drawing shows the intersection of two streets where the street is wide enough for left turn lanes. It might be used to explain a traffic accident. Drawings can also be used to suggest possible redesigns to the intersection. Once RFFlow is installed, you can open the above drawing in RFFlow by clicking on LeftLanes.flo. From there you can zoom in, change the text, change colors, print and fully customize this sample drawing. It is often easier to modify an existing drawing than to draw it from scratch.